Redneck's Wife: "Are you sure she can see you?" "Are you sure she can see you?" Ever since Cary was born, people keep asking me how much she can see. I knew that as a newborn, she could only see like 8-12 inches, approximately the distance to my face while she was breastfeeding. Yesterday, I was across the room from her, and she was smiling at me, so I assumed she could see me. Her great-grandma (a nurse) wasn't sure if she could see colors yet, but I thought for sure she could. Anyway, whenever someone would ask me about it, I would say, "I'll have to look that up," and today I finally did. I found this really cool tool called TinyEyes, where you can upload a picture and see what it would look like to a baby from a certain distance. You choose the age of the baby, choose the distance, and then upload one of your pictures. 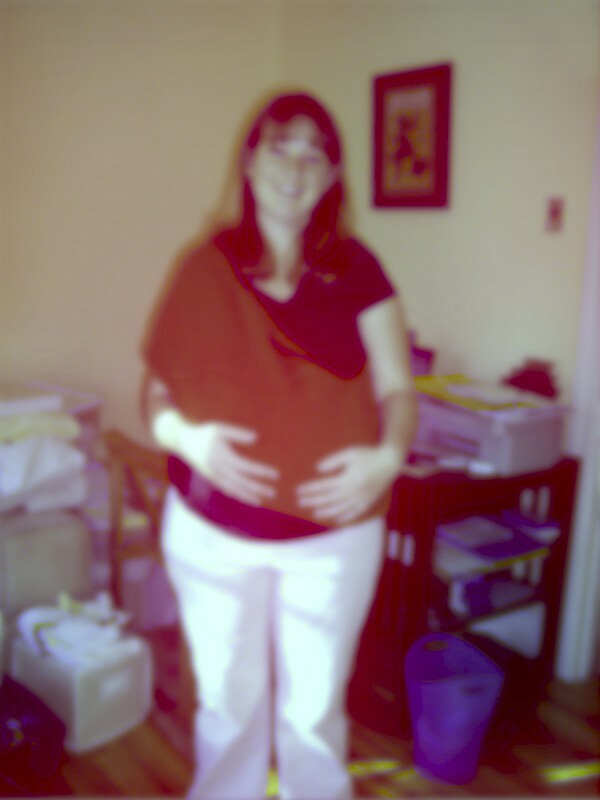 So I guess she can distinguish the image, but it's a little blurry. Very cool!